The Planet + family of products from Stalkmarket deliver outstanding serving performance with all the same qualities as standard petroleum based / non-compostable paper cup products. 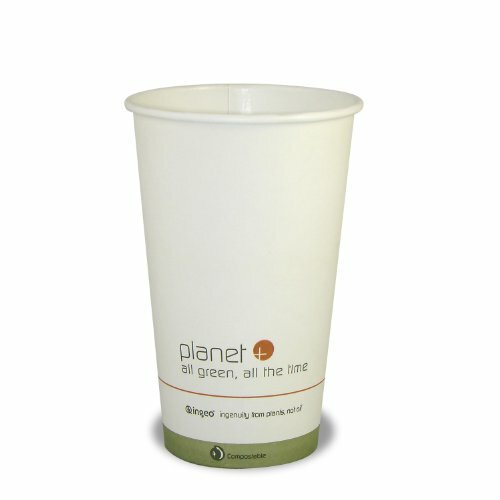 All Planet + hot or cold cups come lined with Ingeo biopolymers which are made from 100% natural plant sugars, are 100% BPI certified compostable, meet all ASTM 6400 composting requirements and are Cedar Grove approved. This comprehensive line of 100% pre-consumer recycled fiber products come in a variety of sizes and styles to suit your many needs. Available in Hot, cold or double walled cups. Planet + products also mix and match perfectly with other Stalkmarket family of compostable products like Jaya PLA plastic cutlery and containes, Stalkmarket sugarcane products and the fashionable Wasara product lines - All of which are available on Amazon. All green. All the time. That’s us. This product meets ASTM D6400 or D6868, and is intended to be composted in a municiple or commercial facility operated in accordance with best composting management practices. If you have any questions about this product by Stalkmarket, contact us by completing and submitting the form below. If you are looking for a specif part number, please include it with your message.